There are thousands of apps that can be useful for small businesses, and we’ve tried hundreds. After testing out various apps, we’ve come to love some more than others. It’s a long and tedious process to try out so many different programs, so we hope sharing our favorites can help you narrow down what works best for you. 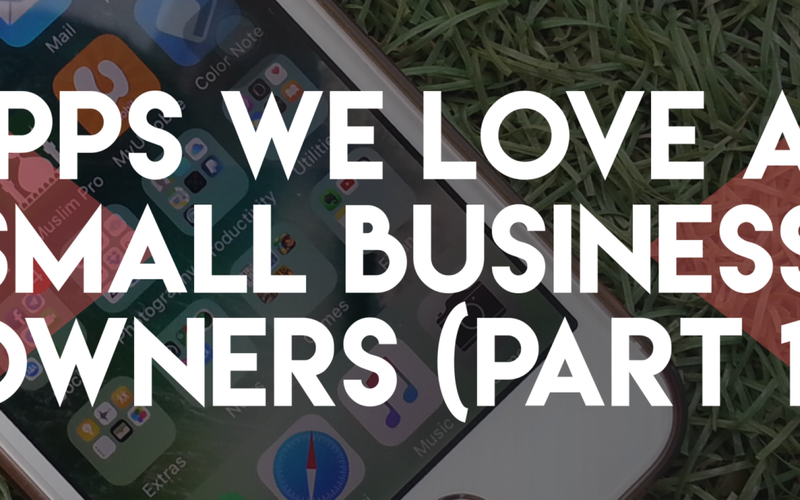 Here are some of our favorite apps we use as small business owners. It’s easy getting caught up on our phones as small business owners. There are always emails to check, Facebook pages to run, texts to respond to and accounts to monitor. With Moment, we can track how much time we spend on our phones and tablets each day. The app also allows you to set daily limits on yourself and see which apps you use the most. Asana helps our team stay on track and improve productivity. It lessens our need for emails by using conversations inside projects to communicate. Asana was founded by Facebook founder Dustin Moskovitz and ex-engineer Justin Rosenstein who wanted to improve employee productivity at Facebook. Now that we’ve been using it for a couple months, it’s hard to imagine team organization without it. WordPress: We use WordPress for clients and also our own website. It’s a web template system that uses a template processor with really great features. It supports tagging of posts, has the ability to assign multiple categories to a post, is search engine-friendly and more. Running our blog is a smooth process thanks to WordPress. You can check it out here. This app is going to be your best friend when it comes to budgeting. Budgets are an aspect of business that’s often complicated and stressful. With EveryDollar, it takes less than 10 minutes to create your first budget. It helps us achieve financial goals, monitor expenses and save money. If you’re a visual person, you’ll love the quick views of plans, spending and other helpful visuals. Bitly optimizes links so marketers can own the customer experience. Using the app we can shorten, brand and optimize links across devices and channels. It measures individual link analytics, gathering audience data and tracks campaign performance. Bitly also collects insights on your performance to better fit your audience needs. Animoto is a cloud-based video creation service that produces video from photos, video clips, and music into video slideshows. We like to use the Marketing Videos for Business feature. They have more than 2000 commercially licensed songs and pre-built storyboards. You can record voice overs and showcase several images at once with collage blocks. This is a great option when you want to create attractive slideshows and videos without an extensive knowledge of video editing. Some of these apps are also mentioned on Our Favorite Tools. Stay tuned for Part 2, which will be released November 30. Download our Free Monthly Success Guide to get organized and reach your business goals.